Rugby fans and sporting enthusiasts. Time for some fun and games! 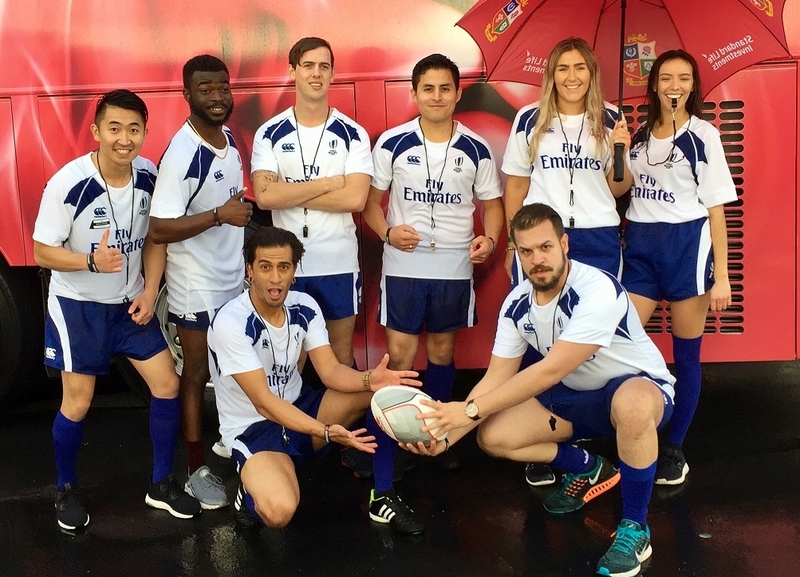 With the Lions tour happening in Auckland, Canterbury paired up with Engage to create some organised madness. We had staff dressed as referees and armed with Red and Yellow cards/vouchers. Object of the game, referees approach or sometimes run after random members of the public in the viaduct, then accusing them of various ‘cardable’ crimes. Was a really good laugh for both the staff and the customers which made for a positive experience with the brand. The vouchers helped fill the viaduct store with a bit of foot traffic during and after the events.